hd00:17DUBLIN - JUNE 6: People and vehicle traffic on very wide O'Connell Street on June 6, 2010 in Dublin, Ireland. 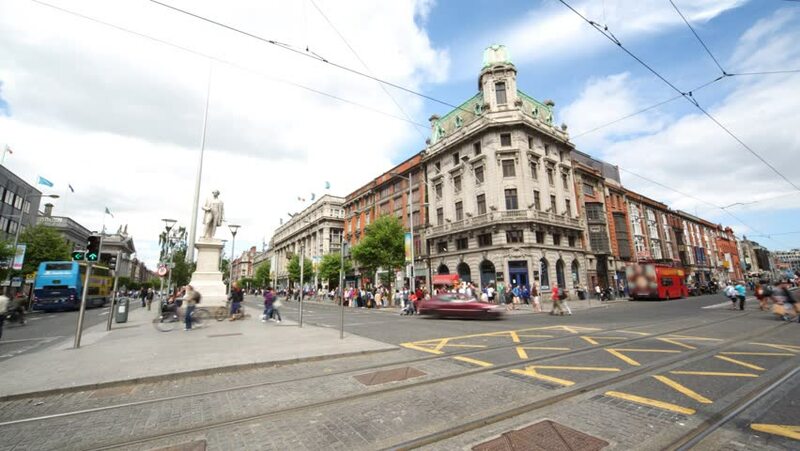 O'Connell Street is Dublin's main thoroughfare and one of Europe's widest streets. 4k00:19Prague, Czech Republic - 21.08.2018: Czech Tram Rides through the Old City, Prague.